Moving can seem like a big task for many, especially without the proper help. The most important thing you can do to make your moving day a success is to hire a reputable mover like My Guys Moving and Storage. Hiring a mover to handle all the planning, packing, and delivery for you will help to eliminate the common moving-related stress. On top of hiring a professional, there are some things you can do to ease you moving day along. Have you ever noticed how music can improve almost any situation? When music is involved, even the most unpleasant tasks, like cleaning or working out, can seem fun. Prior to your move, set aside some time to create a fun and upbeat playlist or two filled with your favorite songs. Listening to music while working can help you stay focused and will also help to pass the time. Even if you are excited about your move and are eager to pack, it’s very normal to reach a point where feel like you just want to quit. There’s nothing worse than losing energy and motivation before your moving day is complete. Creating a high-energy packing playlist will keep your mind and body motivated, and your spirits high. In today’s day and age, smartphones and other smart devices offer solutions that simplify almost any task. There are many apps available for download that will make your packing and unpacking process a cinch. Moving related packing apps such as “Moving Van” and “Sortly” can help you easily organize and identify the contents of every packed box. Not a tech-savvy person? 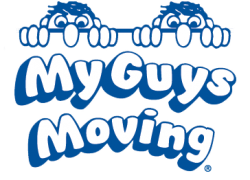 Don’t worry, My Guys Moving and Storage offers a variety of packing services and high-quality supplies that will make the entire moving process a breeze. Families and friends can be a great source of support throughout your move. Whether it’s by helping you stay organized, or helping you pack, the support can make your move much easier. A great way to thank your helpers is by providing a delicious meal everyone can enjoy, such as pizza. Since everything may still be packed away, your best bet is to order carry-out food since cooking will only create a bigger mess. Food is one of the easiest ways to show you care and appreciate the help they are providing. Plus, these snacks will help them keep their energy throughout your pack, which is never a bad thing. Moving can be both physically and mentally tiring. 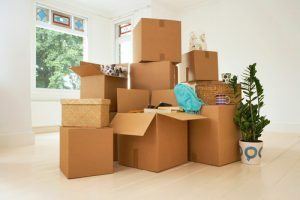 Even if you are excited about your move, it can still be very emotional, especially if you are leaving neighborhood friends or attached to your home. Staying positive during your move will make the transition much easier on everyone. If everyone is feeling sad about leaving old memories behind, consider planning a goodbye party and invite all of your family, friends, and neighbors. This is a great way to remind you of all the good times you had. While preparing to move, remember to take periodic breaks from packing and during your moving day, which will help you stay relaxed and calm. Don’t forget to laugh and joke around with your family to lighten the mood, this upbeat attitude will be contagious for everyone! Moving is without a doubt, a major life transition. Hiring a professional mover like My Guys Moving and Storage is the first thing you can do to rid yourself of moving-related stress. Following these extra tips will result in an even easier move for you and your family. For even more moving tips check out our moving blog page.